RP & Chill Indiana solving the warm beer problem! Convenience stores throughout Indiana will begin to market a better way for customers to buy beverages with the use of the Glacier Bags. Take a look at the video below to fully understand how the Glacier Bags will solve the warm beer problem! Click here to read the full press release issued by the Indiana Petroleum Marketers and Convenience Stores Association and their Executive Director Scot Imus. RP Products are all over Live Nation events! One thing is certain - the fans love taking great pics with our products while listening to their favorite band! 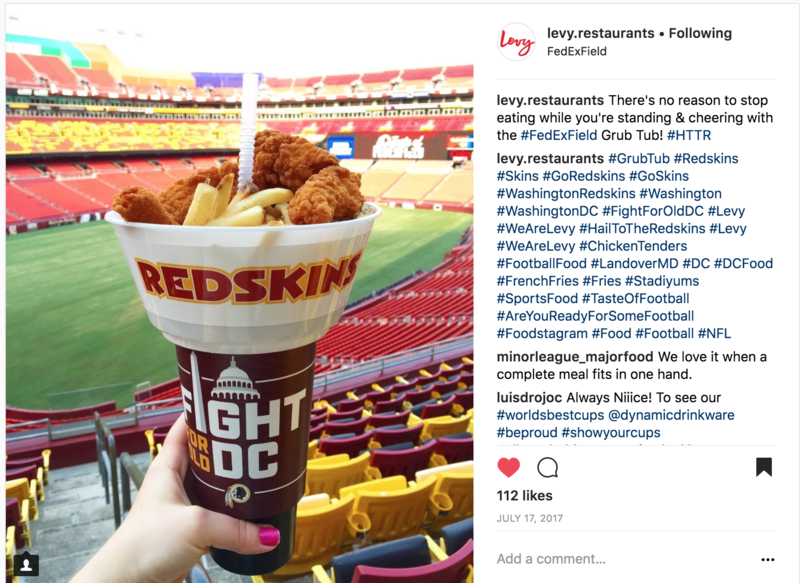 The Grub Tub Featured on Levy Restaurants Social Media! Levy Restaurants, who operate in arenas such as the American Airlines Arena, Amway Center, AT&T Center, Barclays Center, FedEx Field, and many, many more (click here to see all venues & events) posted the Grub Tub both on their website and on their official Instagram page as well! Click here to get more info on our most popular product, the Grub Tub!